Our Lutheran Life image for the ELCA's 500th anniversary of the Reformation. 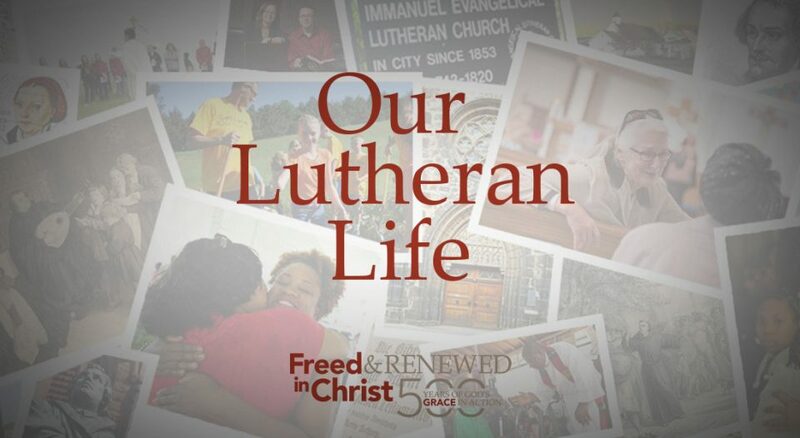 “Our Lutheran Life” invites and encourages ELCA members to tell contemporary stories inspired by the Reformation about how the power of God’s grace plays out in the complexities of daily life, relationships, work and school. Your story is welcome, whether it addresses complex questions, heals suffering or recounts times of joy. These stories narrate how Lutherans move in today’s society as Christians connected to the world around them, seeking to live out their faith for the next 500 years and beyond. Create and submit your story using best practice recommendations provided here. Listen to how Diane Eidsness, Henry, S.D., feels about technology taking over the way we communicate with others in our work and in our personal lives. If you would like to listen to more “Our Lutheran Life” stories, click here to view the entire collection.